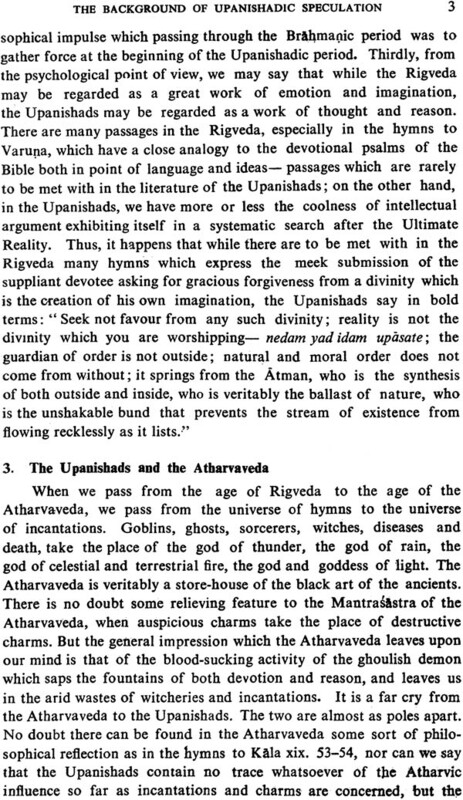 The Upanishads occupy a unique place in the development of Indian thought. They contain the roots of all systems of philosophy rising one upon another like the crests of the Himalayas culminating in a vision of the Absolute Reality. The Western scholars had a prejudice against Indian Philosophy that it was pessimistic and other-worldly. To remove this notion it was necessary to spotlight its synthesis of the worldly prosperity and spiritual good as well as the blissful nature of its Summum Bonum. All this had to be done y such a method as would make an instant appeal to a western mind. 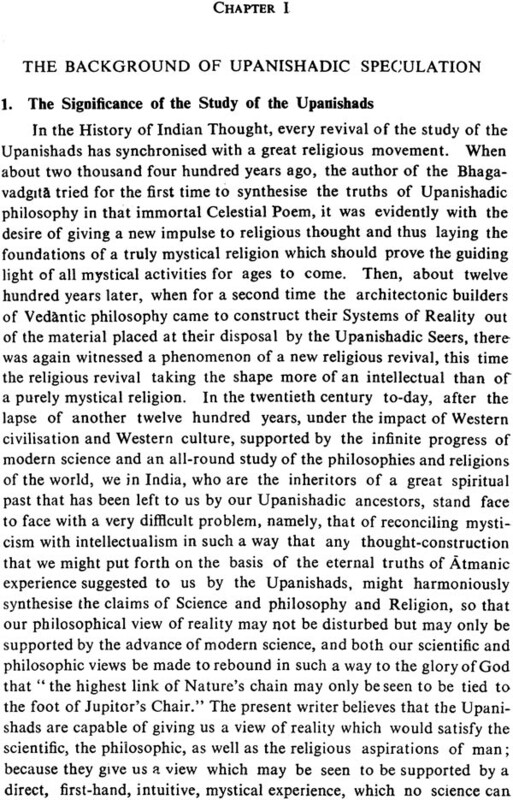 Prof. Ranade discussed Upanishadic thought by using western terminology and western method and this has proved to be a novel contribution to the study of Indian Philosophy. He thus provided a new method to the Orientalists for tackling philosophical problems and gave to the western scholars a new material to exercise their intellects on. 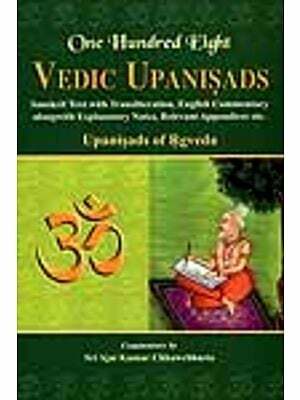 The essence of the teachings of the Upanishadic is placed in the hands of the reader by using the synthetic method so as to underline their contribution to different branches of philosophy like psychology, metaphysics, ethics and religion. Prof. Ranade notes that the ultimate purpose of the work is spiritual, i.e. the practical appropriation of the Divine. As Such both the theoretical and the practical aspects of mysticism are outlined here. A systematic construction of the philosophy of the Upanishads is as onerous as it is enlightening. 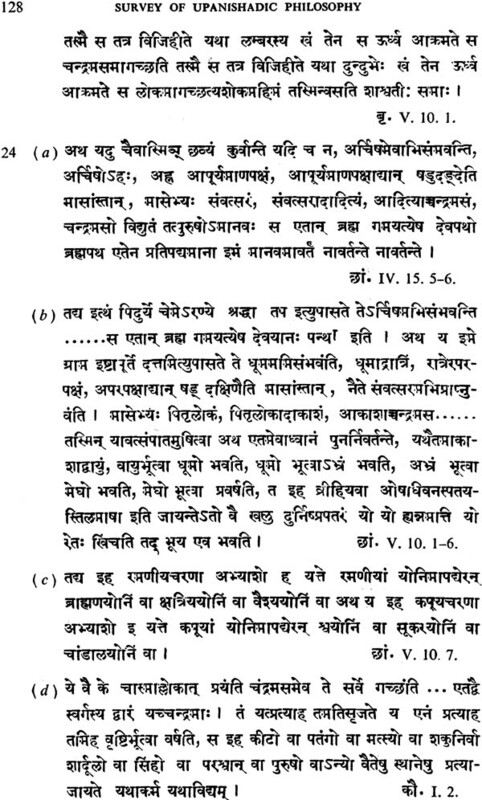 Prof. Ranade's mastery over Indian and Western Philosophy, his apt combination of philosophy and philology, his precision in using technical terminology and above all his mystical insight into Reality, in the light of which he interpreted philosophical doctrines are some of the salient features of this volume. 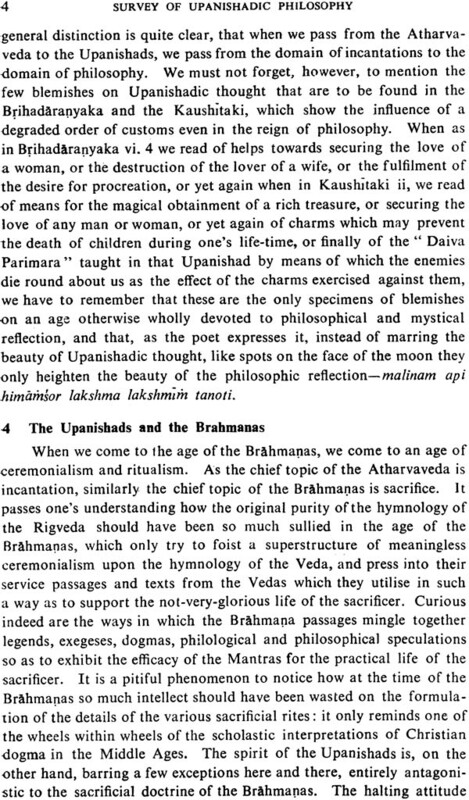 In a word this is both a historico-literary as well as a philosophico-mystical study of the Upanishads. More popularly known among his close followers and disciples as Gurudev, Dr. R. D. Ranade was born in 1886 in Jamkhandi in Karnatak. He took his Master of Arts degree with distinction from the Bombay University. Even from his student days, he was of a spiritual bent of mind. As a Professor of Philosophy in Fergusson College, Poona, and ten as head of the Department of Philosophy in the Allahabad University, and later as its Vice-Chancellor, his record has been a very distinguished one. His founding the Adhyatma Vidyapeeth at Nimbal and his authorship of very profound books on Philosophy and Mysticism were the outcome of his constant endeavour to know and live in Truth. His first significant book was "A Constructive Survey of Upanishadic Philosophy". Then followed "The Creative Period" which he wrote in collaboration with Dr. Belvalkar. His studies in mysticism in Marathi, Kannda and Hindi literature are masterpieces of deep scholarship and popular presentation of psychology and philosophy of religion. The last wok completed by the late Dr. R. D. Ranade during his life time is "The Bhagavad-gita as a Philosophy of God-realisation." This is his crowning contribution to religio-philosophical literature. He passed away in 1957 leaving behind a great reputation as scholar, philosopher, mystic and author. 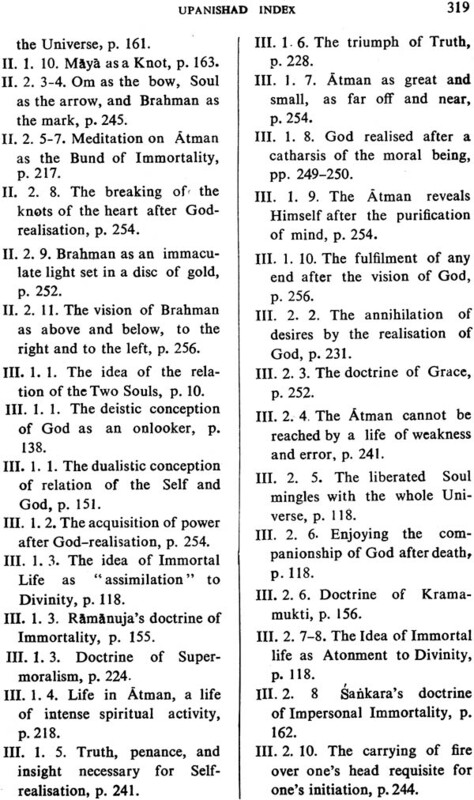 The lectures on the basis of which Dr. R. D. Ranade wrote the 'Constructive Survey of Upanishadic Philosophy' were delivered in 1915. The first edition of the book was published in 1926. It is out of print for the last few years. It is fortunate that now a second edition could be placed in the hands of readers. The Preface to the first edition reproduced in this book was written by the author himself. 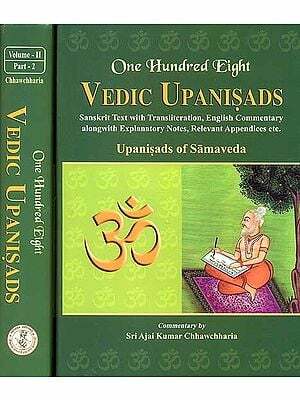 It explains clearly the approach of the author to the subject as well as the rationale and methodology he has followed in the treatment of the most important body of thought contained in the major Upanishads. 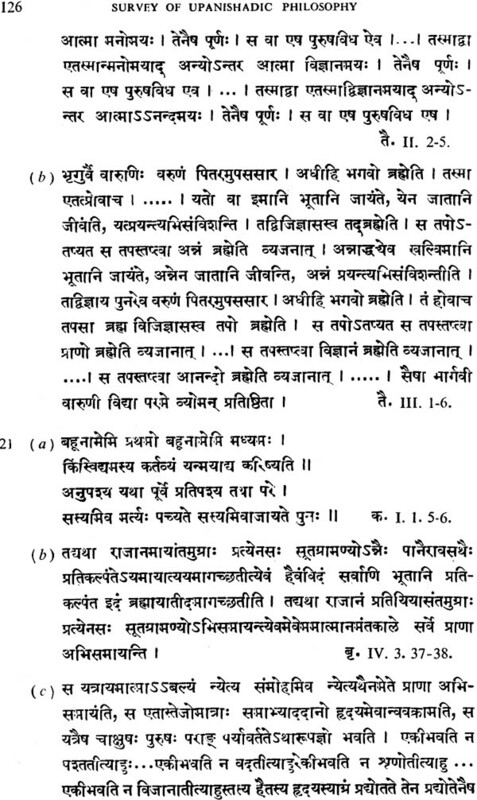 As early as when he wrote out this book on the thirteen Upanishads which are considered to be the earliest and the most seminal, he was already considering the proposition of writing on the minor and later Upanishads also. 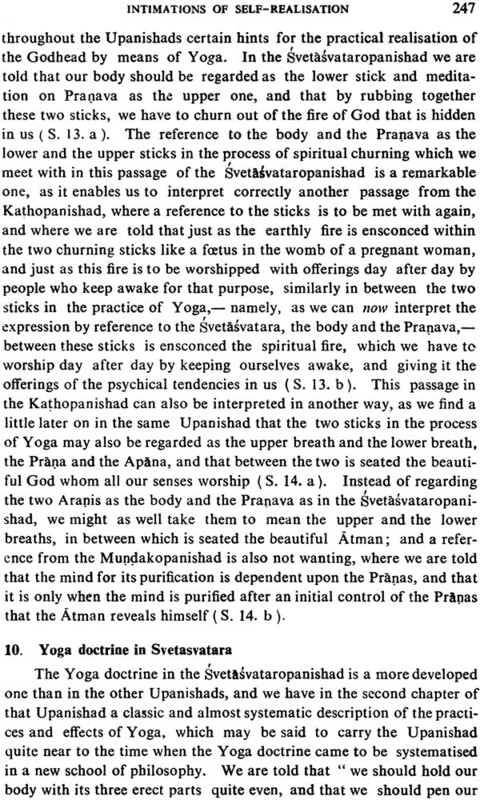 But what is far more important is that he was contemplating bringing out the total philosophy of Vedanta in a later work. 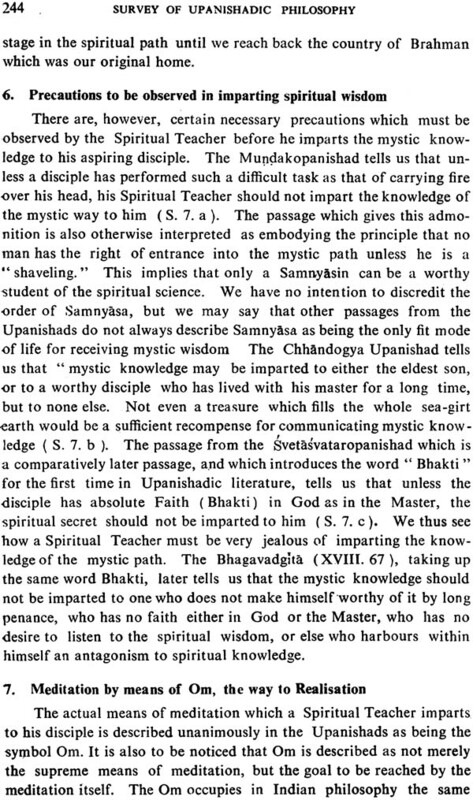 This shows that this work of his is not an isolated or detached attempt at studying the Upanishads but forms an integral part of his comprehensive grasp and interpretation of the rich treasure of ancient Indian philosophical as well as mystical literature. 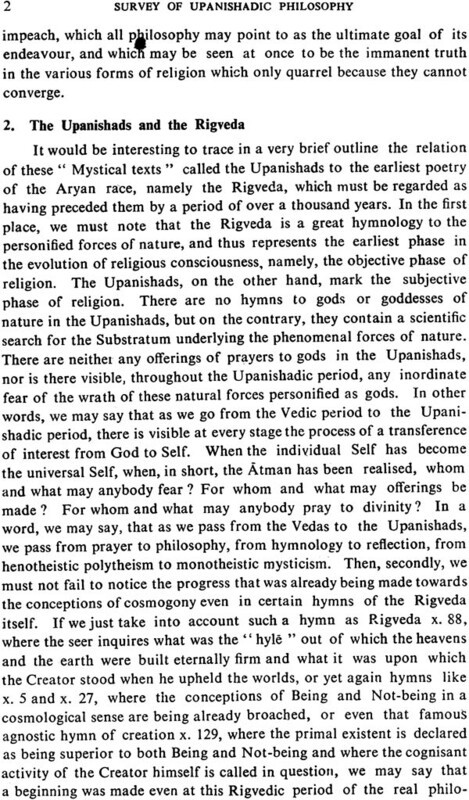 While about this matter4, he says that the seeds of most of the systems of Indian philosophy are to be found in the Upanishads. Like Alps over Alps, these systems, he says, culminate in a view of Absolute Reality worthy of study. It was thus that he envisaged his later work, 'Vedanta  The Culmination of Indian Thought,' which is still to see the light of day. 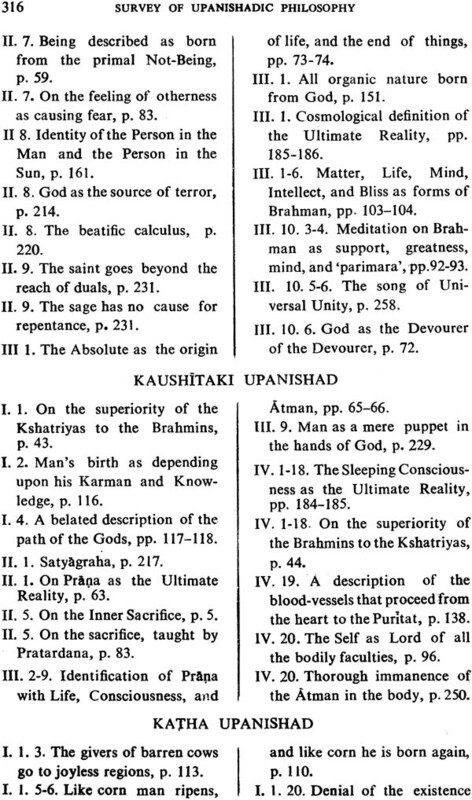 Since the Vedas, Upanishads, the Brahmasutras which are an aphoristic summary of the co-ordinated doctrines of the Upanishads, and Bhagavad-Gita are the living and continuing sources of Indian religion and philosophical thought, there has been no end to writings and commentaries on these works, Both Indian and foreign scholars have written abundantly. Indian thinkers and leaders in various fields have been drawing inspiration and spiritual as well as moral strength from these fountains of perennial philosophy. 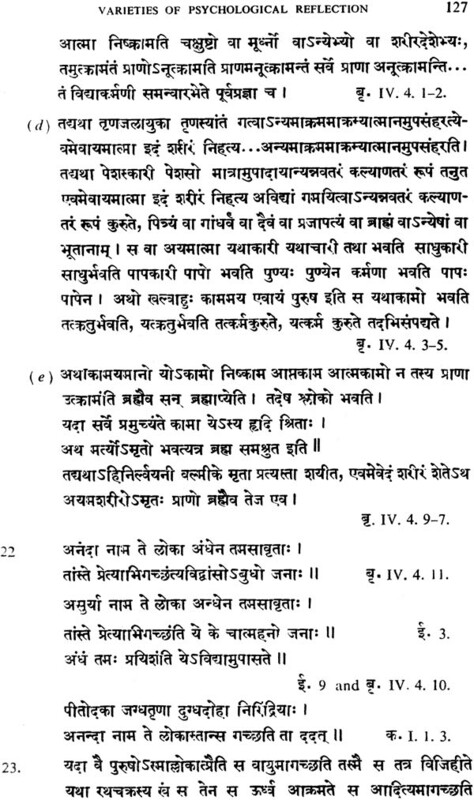 Therefore, there is no necessity or bringing to the readers' mind once again the importance of those ancient texts. This book, however, which is a unique contribution by Dr. Ranade to the profound study of the main Upanishads, deserves special attention. One who goes through the Preface to the first edition can easily see that mere scholarship is the least part of the book. Dr. Ranade was not only a thinker and a philosopher but also one who spent the most important part of his life in meditation and devout contemplation. 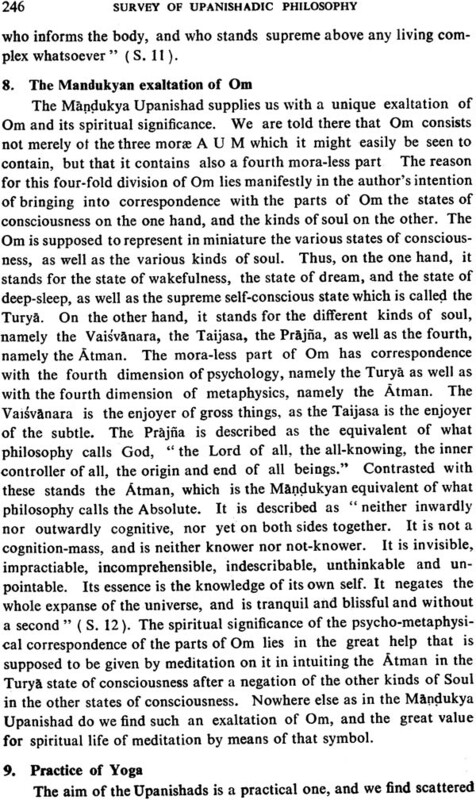 The Atman, the ultimate Reality, was not something to be merely thought about or casually felt but something to be realized by constant meditation by one's whole being. Spiritual experience by the totality of one's being is the most important thing. While this way is enough and soul-fulfilling so far as an individual is concerned, out of sheer surfeit of joyful ecstacy one has to find channels of communication. Language and logic, at once lucid and clear, therefore have to be the common instruments for this purpose. Dr. Ranade had the gift of analytical thinking as much as synthetical grasp of systems of thought which are reflected in the Upanishads. His aim is clear from the Preface he has written. If he wanted to be critical about superficial criticisms leveled at the Upanishads, he has shown how devastating he could be. If he wanted his book to be a comparative study, he could have pointed out parallelisms of thought and expression between Upanishadic sayings and the earliest Greek philosophers as well as the latest European or Western thinkers. He had scholarship enough for all that. But his aim was quite different. He set for himself as task which had never been attempted so thoroughly and in so profound and scientific a manner. His was a constructive approach as he puts it, and for that, in addition to equal mastery of Indian and European thought, a full grasp of the methodology of western presentation was necessary. 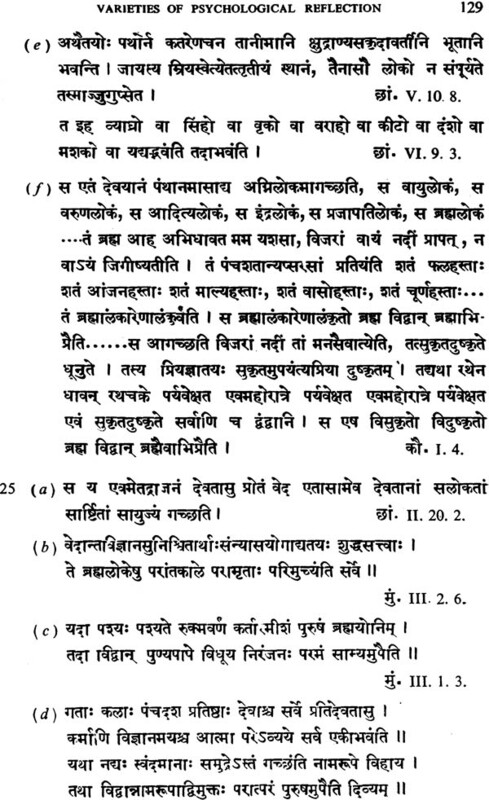 Then to find the terminology to appropriately convey the Indian thought of the Upanishads was also a difficult task. It seems, however, that Dr. Ranade has eminently a difficult task. 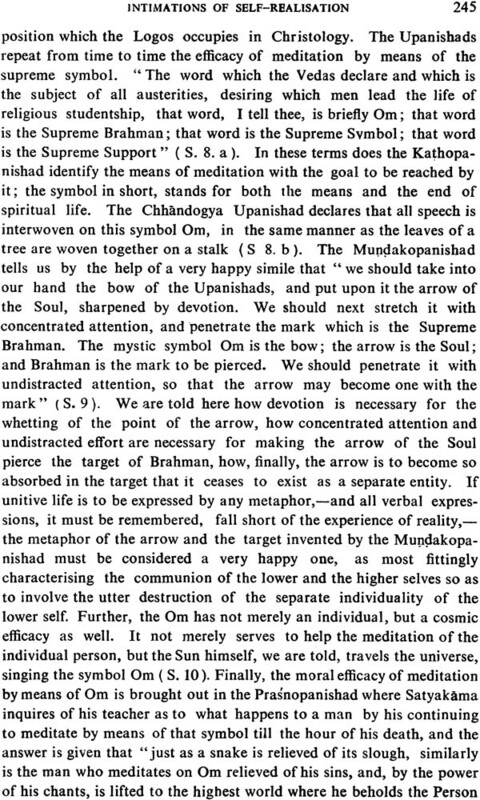 It seems, however, that Dr. Ranade has eminently succeeded and presented to the world in modern phrase and by modern method the ancient intuitional as well as logical thought of the Upanishads. This kind of study and presentation is absolutely necessary in so far as India is no longer an isolated peninsula nor Indian thought a monopoly of the Indians alone. The narrow national outlook characteristic of past generations has already passed away. Men all over are developing a world outlook and are prone to global thinking. All religions, all cultures, all people are but integral parts of the mighty human endeavour to reach hisher levels of existence and richer dimensions of consciousness. To this endeavour India and Indians can and ought to contribute substantially being one of the oldest people with a rich heritage of history and wisdom. There is no doubt that this attempts of Dr. Ranade will play its humble part in the march towards common humanity and a higher destiny.